Very rare these days do we get the surprise of a game being announced and released on the same day at E3 anymore, with the Internet full of what seems like top notch private investigators sitting by their computers 24/7 just waiting to spoil every secret this event has to offer. I saw a few tweets bringing it up yesterday (honestly, if you want a surprising E3, stay away from social media until the show) but pushed them to one side until getting the confirmation last night at the EA brief. Unravel Two is now on the store (click here to go there), with an EA Access trial also available for those that use that wonderful service, with it giving the standard 10 hours of playtime for you enjoy the game and then pick up the game with an added discount too (£16.19/$17.99 with Access, £17.99/$19.99 without). 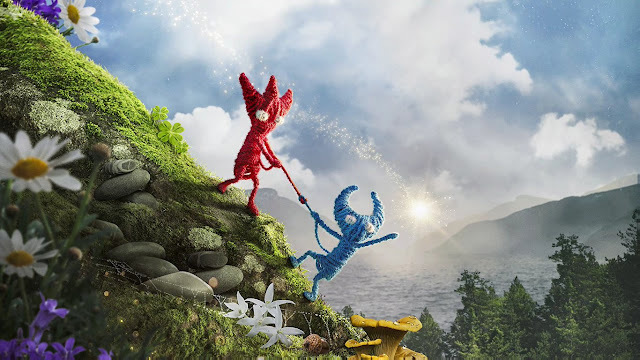 Unravel Two feels like more of the same if you enjoyed the first game, only this time around we have two Yarny characters to control (only as single player or via a friend in local co-op), giving the game a whole different feel in terms of how it plays. Think Brothers A Tale Of Two Sons but made of wool. I'm certainly happy with my purchase so far, so be sure to at least go and give the trial a look on EA Access if you like the look of it.